In the programming language of your choice, take no input and output your programming language's name. You can't use any character that is included in your programming language's name in your code. E.g., if I use Batch, I must not use the chars 'B' 'a' t' 'c' 'h' in my code. Note that this is case sensitive. I can still use the char 'b' because it's different from 'B'. The output of the programming language name is not case sensitive. Brute-forcing all possible letter combinations and hoping you get your language name is forbidden. This is code-golf thus shortest code wins. Outputting to STDERR is now at +33/-21 as an allowed default, which is positive but contested. This is a CW answer to collect answers that just invoke an error in a language where error messages includes the language name. Error: unexpected ')' in ")"
Twig is a template language written in PHP. It's possible that this is a polyglot. The message varies depending on which program you choose. Try it online! Trivially invokes undocumented behavior. Silos is the name of the language. In 6 bytes, we can put QBIC encountered error: 9 on the screen, signifying an out-of-bounds error. Exception in thread "main" lang.exceptions.IllegalInvocationException: null is not a function. Equivalent to SPSET 0,1474. Sets sprite 0 to definition 1474, which is the SmileBASIC logo. Output is through STDERR, which is allowed by default. Or try it online! (expand "debug" section). Since junk is allowed around the name, the “R” in there is the language name. As pointed out by @Bob, modern browsers will recognize HTML entities without semicolons, though it's technically invalid HTML. Of course, it's perfectly valid for code golf. And of course, the uninteresting answer. Also, see my CSS answer. 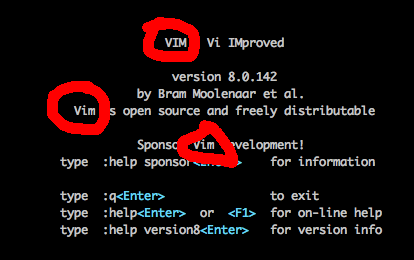 In Vim 8, pressing will display Type :quit<Enter> to exit Vim at the last line. I'm not completely sure if this counts. It concatenates the strings uses the octal 150 which is h and "elp()" and runs the result. This prints the help() command which says "Welcome to Python 3.5's help utility! ", meeting the requirements. In the implementation I checked, the interpreter takes the length mod 8 of each line of a given file, and switches depending on the result. For zero, it prints Huh?. Since it strips trailing newlines, you could also do a 1 byte (\n) version. Note that it's not outputting to stderr or caseswapping or any other trickery. It's just that Huh? 's very confused interpreter finally came in handy. Which is "Insert the letter 'v', and toggle case". However, since you allow for junk output before/after the language name, this works too. The ¬ command takes two characters for input, and inserts every ASCII character between them. If we don't supply the second character, it automatically defaults to ÿ (ASCII 0xff), so this program inserts every character in the latin1 encoding between U and ÿ.
Outputs brainfuck, assuming an 8-bit tape open on the left. Try it online! 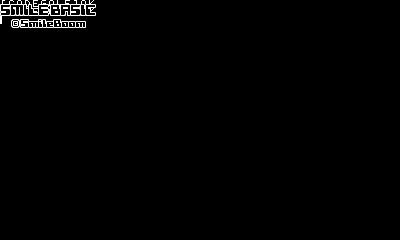 As always, partial credits go to @primo's Hello, World! answer. Output is as follows. Irrelevant info has been replaced by [...]). Some parts of the output may change depending on version, installed toolboxes etc. This will continually print ><> until the interpreter runs out of space. Prints the following text, which has "Python" on the first line. to see the result as intended. Takes the character I and WRaps it in Chr(80), resulting in PIP. Try it online! It will run to a stack overflow and print Speicherzugriffsfehler (german for Segmentation fault) on stderr. a. returns the alphabet of the J language — a built-in list of all bytes. This just seems pretty cool to me. The square root (%:) of negative 1 (_1) is i (0j1). Thanks to @squeamish ossifrage for helping me save 4 bytes. Run with the -E flag. The variable $^X is the path to the executable that is running the current program. Since the Perl interpreter is called perl, we then need to make he first letter upper-case. But the ucfirst function contains an r, which is not allowed, so we have to resort to \U and \E, which turn upper-case-conversion on and off. We cannot use the /r modifier for s/// to return the changed string because the r is not allowed. It's important to know that the name of the Perl programming language is Perl, and the name of the interpreter is perl with a lower-case p. There is no PERL. R Core Team (2016). R: A language and environment for statistical computing. R Foundation for Statistical Computing, Vienna, Austria. URL https://www.R-project.org/. We have invested a lot of time and effort in creating R, please cite it when using it for data analysis. See also ‘citation("pkgname")’ for citing R packages. Quite verbose just to have R's name to appear right ? From @djhurio's comment on an this answer using R, version does the trick too. Basically a direct linear flow wrapped inside the hexagon. Try this 19 byte un-interesting solution online! This uses the small h, which is allowed. Uses the IP1 (Initial is 0) as a "function" which does "Decrement and print as char". @ ] z ; . Saves I in the memory, go to the next instruction pointer with ], then IP1 runs from NE corner in SE direction and hits ..> which directs to E, wrapped to the bottom 5 no-ops . and then to ( (decrement), ; (print as char) and then [ which returns to IP0. IP0 starts reading from where it stopped to f, go through the no-op . and to the middle ] which runs the "function" again: IP1 starts from where it stopped and hits no-op . then $ which skips the > and runs through the bottom again... to print e.
The program keeps doing things like that. Found out that I could've just printed n by calling the function again after printing o. Mm.. can't think of ways to shorten this further though I replace 1 byte by no-op with this discovery. Leave me a comment if you want to see diagrams in this explanation! 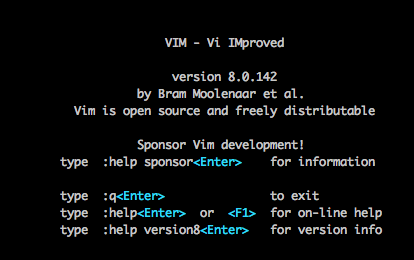 Perl v6.0.0 required--this is only v5.16.3, stopped at -e line 1. Can't locate object method "_" via package "Perl" (perhaps you forgot to load "Perl"?) at -e line 1. All solutions make use of version strings. Not the answer you're looking for? Browse other questions tagged code-golf string kolmogorov-complexity restricted-source or ask your own question.